If you’ve been following the music scene in the Pacific Northwest at all over the past 5 years, you’ll already know the name Ayron Jones. The guitar virtuoso has been wowing audiences, supporting globally revered artists, and solidifying himself as a force to be reckoned within the rock and roll genre. His latest LP, Audio Paint Job, to be released by Barrett Martin’s Sunyata Label, seamlessly mixes Jones’s blues-rock sound with a Northwest hip-hop sensibility that gets the listener closer than ever to his raucous, engaging live performance. In the first single, “Love is the Answer,” Jones’s lyrics are impartially in tune with the current political climate, and through this lens, he conveys a powerful message that resonates through the entire album. “We can’t stop the fighting,” he sings, “we’re all to blame.” But as is evidenced by the song title, his message isn’t hopeless, and he hits that point home in the heavier hitting rock numbers like “Stand Up,” featuring a breakdown that almost deliberately calls up RATM’s(Rage Against the Machine) “Killing in the Name of” and “Take Me Away,” a confessional and personal track featuring some of that squealing guitar work we’re used to from Ayron. 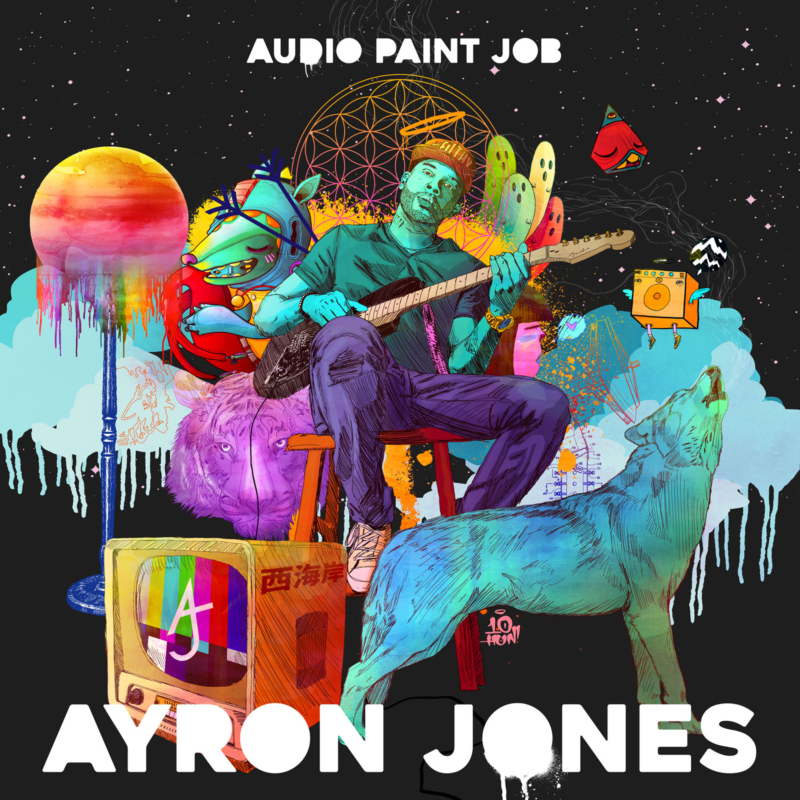 Produced by Seattle legend Barrett Martin and mixed by another Seattle legend Jack Endino (who famously recorded Nirvana’s Bleach for $600), Audio Paint Job is the most cohesive and realized Ayron Jones has sounded to date. Ayron’s love for the hip-hop genre comes through most palpably in “Mr. 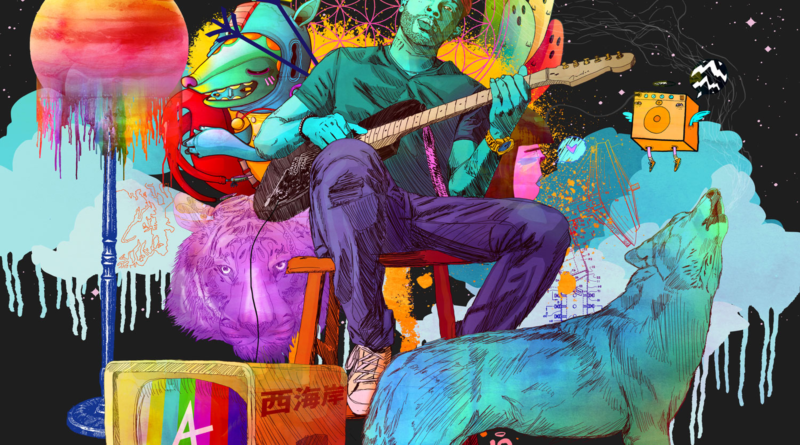 Jones,” where his vocal stylings and guitar chunking sound something like Anderson Paak singing on a Weezer record. I mean this in the most flattering way possible, and the song really hits its stride when it morphs faultlessly into the louder, more defiant “Rockstar.” Similarly, the use of strings to compliment the edgier sounds of Ayron Jones and The Way is effective on “Play Me a Song,” featuring some of the most impressive guitar work on the album, on an acoustic guitar no less, in a rare and delightful departure from his usual blues-fueled electric riffs. Despite the shimmering production, the standout tracks to me were the most bare-bones. “Emily,” a love song with raspy lead vocals and easily the hardest rocking guitar solo, stays true to the blues-rock genre without compromising the individuality of the new album. “Yesterday” showcases Jones’s most impressive vocal recording to date, foraying into R & B territory with uncanny finesse. It features some Hammond B-3 organ work that would make Ray Manzarek swoon, (although the full album credits haven’t been revealed, I’d be shocked if it was performed by anyone but local organ greats Delvon Lamar or Joe Doria) and it feels like the kind of song the band really loves to play.